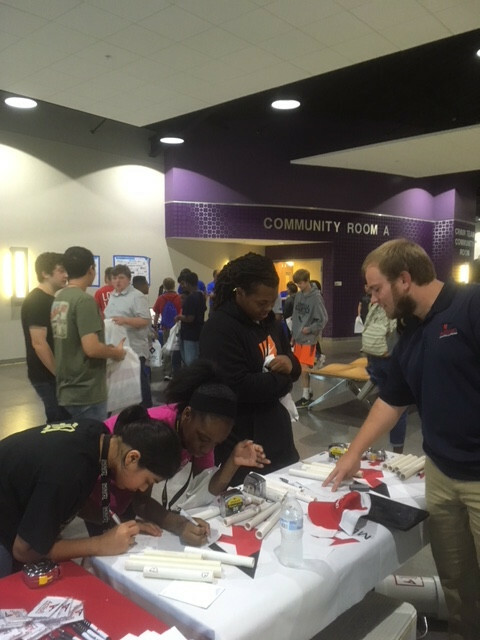 The Pulaski Tech Career Fair was sponsored by the Little Rock Chamber of Commerce. Over 700 students were in attendance! Pictured: Dylan Ortman, Action, Inc. Intern, challenging the students to a little measuring fun! 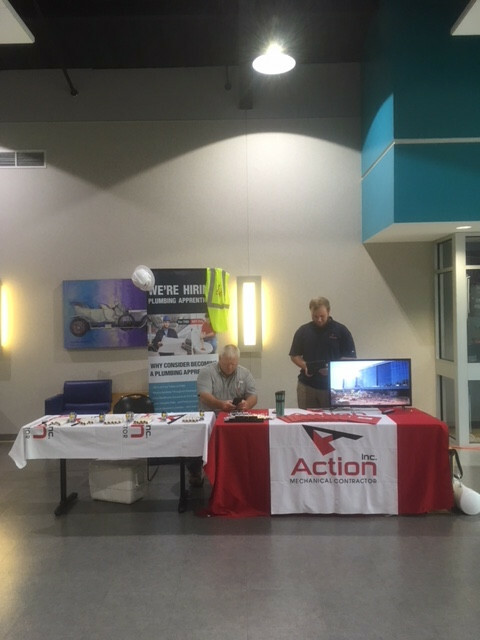 Pictured: Jason DeBlock, Senior Project Manager, with Dylan Ortman, Action, Inc. Intern.